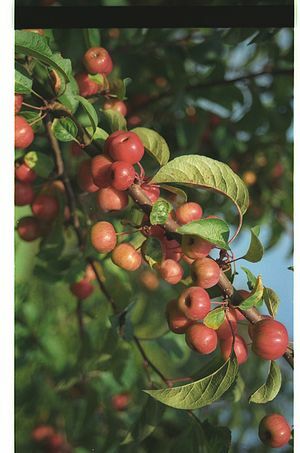 Evereste - Crab Apple Tree £12.75 - Pollinator Apples - Crabapple Apple Trees and Fruit Trees For Sale. Buy at competitive prices with wholesale discounts. Evereste produces beautiful small orange red crabapples that hold well through the winter. The tree also produces lovely pink and white blossom, whilst the fruit can be used for making jelly. Crab apple trees are pollution tolerant and therefore suitable for built up and urban areas.